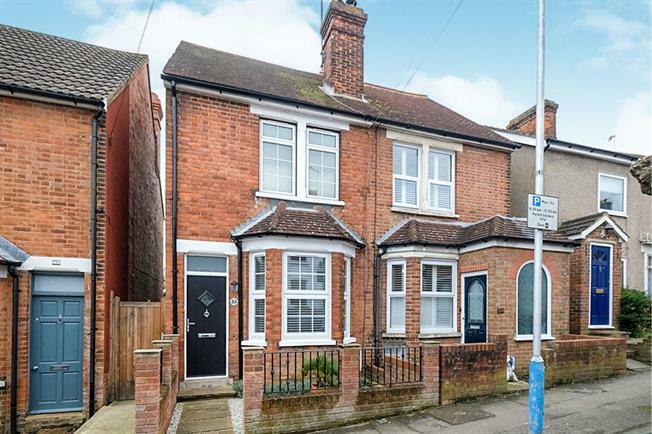 Freeman Forman are delighted to present this well presented three bedroom character semi detached house, situated within a short walk of the mainline station and shops. The property benefits from a bright living room with bay window and fireplace, spacious dining room, modern fitted kitchen and bathroom plus three generous bedrooms, one of which forms a converted loft. Outside, to the front is an attractive garden. At the rear is a large garden of over 100ft in length, beautifully landscaped with paved and lawn areas, mature shrub borders, various trees and two large sheds.